If you're looking to try some activities on your holiday then there’s plenty to keep you busy here. The warm waters surrounding Vava’u make ideal calving and mating grounds for the Humpback Whale. Allan pioneered the swimming of the Whales in the Kingdom of Tonga 20 odd years ago. Our qualified local guides and experienced crew aboard are there to ensure your safety and provide informative whale knowledge and find you the whales. Getting up close and personal with these magnificent mammals is a once in a lifetime experience and we recommend whale watching in Vava’u to all our visitors. 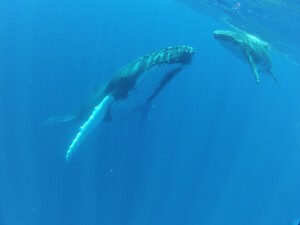 The Southern Humpback Whale migrates to Tonga from Antarctica, a journey of 6000 miles. From the months of late June through to early November the Whales can be seen and heard frolicking. Whale Watch Vava’u operates two capable vessels – one for our guests at Mounu Island Resort and one available for Charter. Both boats were purpose built in New Zealand and have seating for 8 guests, ladder for easy access to and from the water, life jackets and all required safety equipment, toilet and viewing platform and hydrophone to hear the Whale Song. We have a range of snorkel equipment available free of charge. Wetsuit hire available at TOP$10 per day. With visibility reaching up to 70 metres and a range of uncrowded world-class dive sites, it's the perfect spot for diving, learning to dive or snorkeling. In addition to the whales you will find hard and soft corals, dolphins, turtles, manta rays and heaps more in this natural aquarium There are several operators to choose from. Whether you are an experienced diver or require a Resort Course we can assist in finding the right operator to suit your needs. 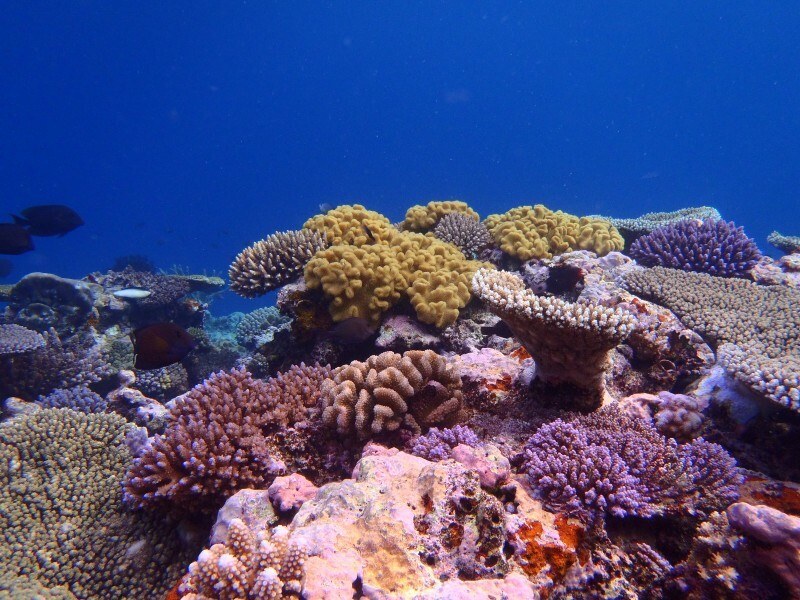 Tonga is a true pacific paradise for those who love snorkeling. You can bring you own snorkel equipment or be provided with a set for you stay while on Mounu Island. 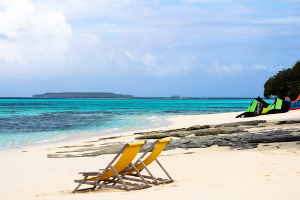 You can snorkel from anywhere on the island and most fales have excellent snorkeling on their beachfront. 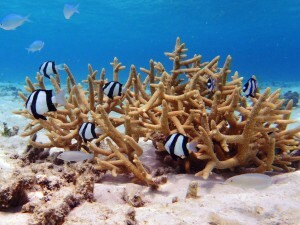 The beach is easily accessible and teeming with fish life and stunning corals. One of the staff is happy to take you for a guided tour or help those who need a few pointers in the art of snorkeling. 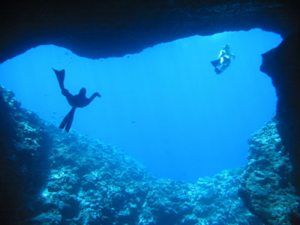 We can arrange a boat trip to other snorkel spots including, Swallows Cave, Mariners Cave, Eua Kafa, Coral Gardens and A’a. Sometimes we are lucky enough to have the Whales just off the outer edge of the reef in front of the Moby Dicks Restaurant and Bar and weather permitting we can snorkel off the beach to them. The South-East trade winds make Mounu ideal for beginners through to advanced riders. The Southern side of the Island is a large acreage of sand bottomed knee deep water at low tide perfect for learning. Advanced riders can launch off the beach in all wind conditions. Kitesurfing lessons at Mounu are available when we have an instructor on the island (email for details) with gear hire and purchase also available. Or simply bring your own kitesurfing gear with you! We can also drop you off at a Sand bar out on the Eastern side of Vava’u and kite a wonderful Island filled down winder back to Mounu Island. Ask for a chunk of bread and feed the Fish off the beach in front of Moby Dicks Restaurant and Bar. There are a number of operators who can take you out to land a Mahi Mahi, Marlin, Tuna or Wahoo. Vava’u is recognized as one of the top Blue Marlin spots in the world. Your Chef can prepare your catch just the way you like it. Kiwi Magic, Ika Lahi, Target One, Dora Maria are some of the boats you may like to choose. We have 2 standard single kayaks and 1 double kayak that are perfect for paddling around Mounu or over to Ovalau – a twenty minute paddle away. We can arrange a picnic for you to take with you and we even have a couple of fishing rods if you feel like a real Robinson Crusoe experience. Our staff will take time to show you how to use the kayaks, paddle and stay dry! The library is well stocked with a variety of books to suit everyone’s tastes, grab and book and hit the hammock. 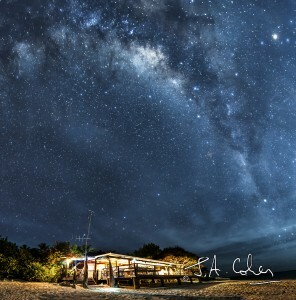 The telescope is set up at the Main building and we will help you spot the Southern Cross and other stars or grab the Ipad and search for stars yourself. Tonga is home to many land and sea birds. We can organize a day land tour with Eva who will take you to view the endemic Tongan Whistler, only found in Vavau group. Tide and weather permitting we can visit Maninita, an island to the south of Mounu where during the season you can see up to 19 types of birds. The Booby, Terns and Noddies all nest here. The Tongan people have wonderful traditions. Our staff can show you some of the many uses of the Coconut and Pandanas trees from husking the coconuts to weaving the beautiful mats and baskets. Matamaka, one of the outlying Island villages welcomes guests to join their Church service on a Sunday to hear powerful choir singing. We can arrange special viewings of traditional dance and fire dancing if desired. -- Select -- Whale Watching Diving Snorkelling Kitesurfing Fish Feeding Big Game Fishing Kayaking Kick Back and Relax Star Gazing Bird Watching Cultural Activities Please select a tour.